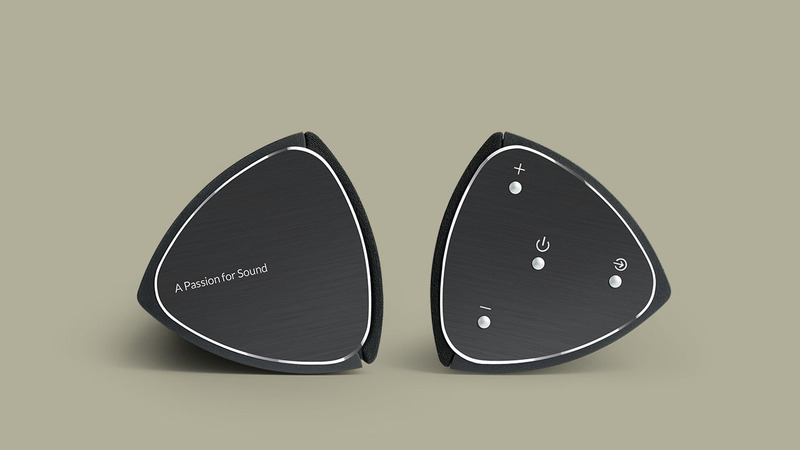 Experience home theatre sound without the hassle of setting up multiple speakers. 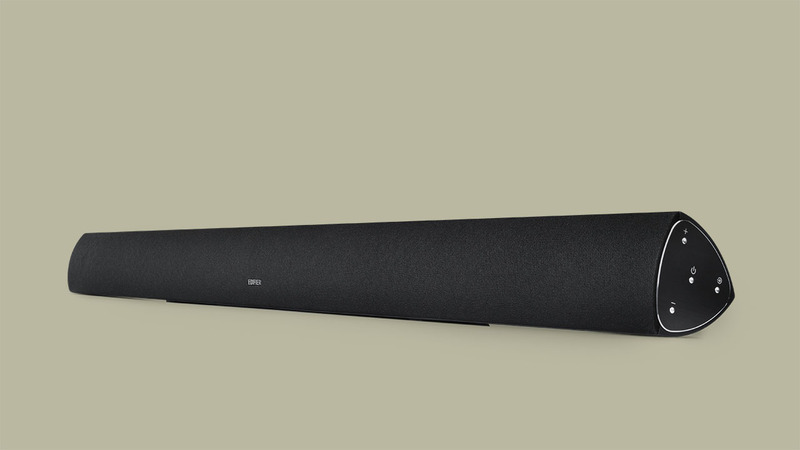 Introducing the b3 Sound Bar with powerful sound for large or small rooms. Edifier has invented a price-conscious home theatre speaker that provides the depth and power of a high priced audio systems. 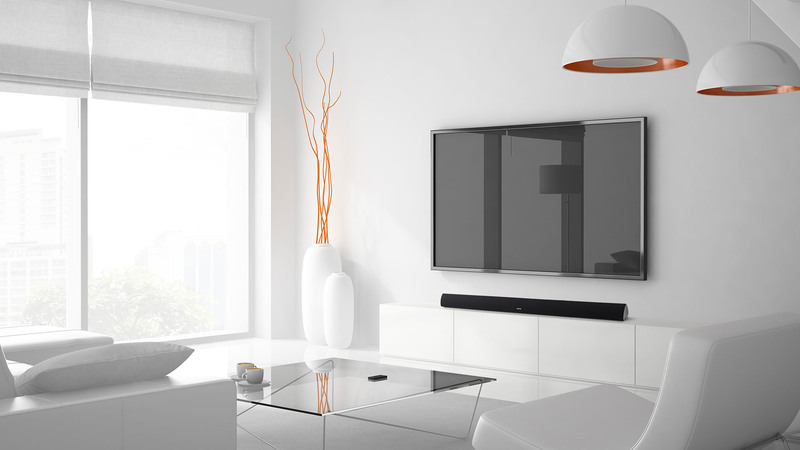 This simple, elegant sound bar will fill your room with jaw-dropping sound. Engineered with four speaker units and two tweeters to deliver clear, rich sound. It automatically modifies sound for an exceptional output with the Digital Sound Processing (DSP) system. Best of all, it is easy to set up. Connect it to your TV, gaming system or DVD to experience ground shaking sound quality. Coaxial, RCA line in, and AUX input give you a large range of options in connecting your devices without having to switch wires. This solo speaker is ideal for avoiding clutter. You can also stream from your electronic devices through Bluetooth 4.0 to your b3 Sound Bar. With a range of 10 metres, Edifier has given the b3 more versatility. Already equipped with 3 presets (movie, 3D and news) to provide the best listening experience with a click of a button. You can switch between these depending on what you are watching. Presets will automatically adjust the sound quality to suit movies, 3D or news for a spectacular listening experience. B3 is accompanied with a wireless remote to control these settings. You can also find basic button functions on the side of the sound bar to control volume and power. B3’s most unique feature is its auto standby. Developed to know when a song or movie is over, it automatically shifts to standby mode after 10 minutes of inactivity to preserve energy. Its slim design is perfect for placing it beneath your TV. However, it comes equipped with brackets to easily mount to your wall for a contemporary look. Release date is yet to be announced.